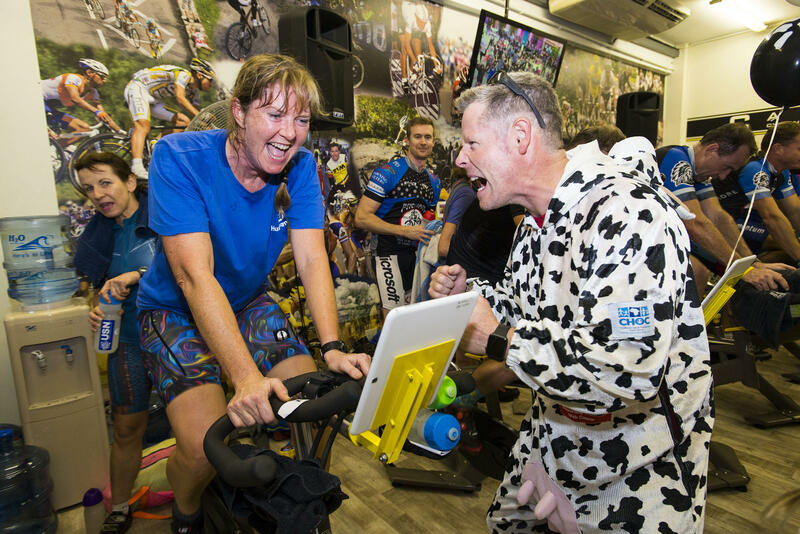 Durban - Unable to turn their backs on a sporting challenge, a die-hard band of cycling bovines will square up to the task of riding 160 kilometres on a static training bicycle this Friday as their contribution to The Cows fundraiser for the CHOC Childhood Cancer Foundation. The South African edition of the famous 100 Miles Of Nowhere was started by The Cows in 2011, emulating the iconic fundraiser started by American blogger and cycling enthusiast Eldon Nelson, and has been held at Cadence Cycle Performance Centres around the country. With a jam-packed calendar and a number of logistical challenges presenting themselves, there was chatter in the herd of The Cows about cancelling the 2017 100 Miles of Nowhere, but the Westville-based core of the herd would have nothing of it, and will tackle the task en masse on Friday afternoon 29 September, starting at 12:30pm. "The last two years the Westville cadence studio has been jam-packed for the 100 Miles Of Nowhere," said manager and head coach Matt Wickham. "When it was decided not to run it at a national level this year, we gave the KZN herd the opportunity to run it as a stand-alone event at the Westville studio, and they jumped at it," he said. "They are an incredibly energetic and lively bunch, to say the least,' he added. Of the twenty bikes set up at the Westville studio, ten have already been booked for the annual fundraiser. "We are taking entries of teams, basically any number of riders as not everyone is as fit as they would like to be at this time of year," he said. 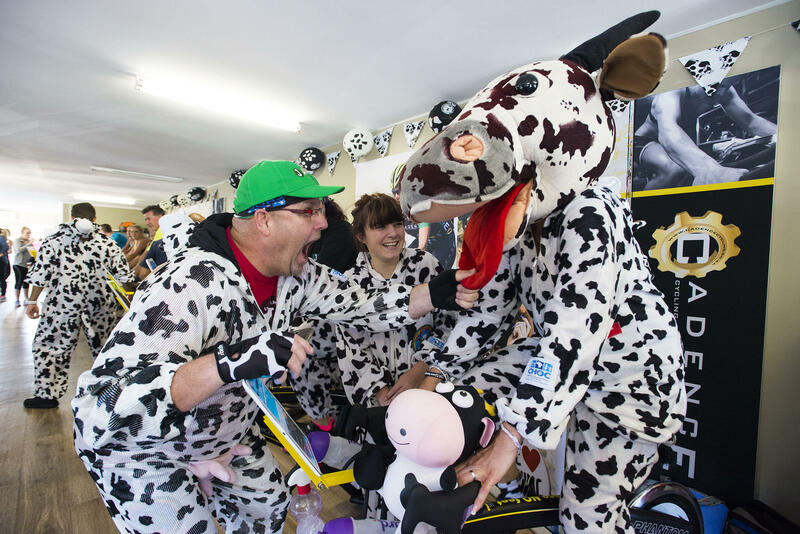 With The Cows having set a national target of R10 million to be raised for CHOC to celebrate the tenth anniversary of The Cows, the sporting enthusiasts are using every opportunity to nudge their national fundraiser closer to that lofty tally. The event was first done in 2008 by an American blogger Eldon Nelson who goes by the name of the Fatcyclist or Fatty. The original event was a personal challenge for Fatty during his wife’s treatment for cancer. He did the first 100 Miles of Nowhere by himself, on a set of rollers in his garage. Before he knew it, his blog followers wanted to join him and do the event and so it become an annual and international event. The next year — and every year after that — hundreds of people have done it. The event has since grown and there are participants across the globe. The Fatcyclist edition has an entry field of 500 who sign up and pay/donate to Fatty’s chosen charity. He used the interest in his challenge to raise more funds and awareness for cancer foundations. The idea is to complete a century in the most mundane and mind-numbingly painful way, to match the mind-numbing and painful repetition of chemotherapy and radiation for cancer. 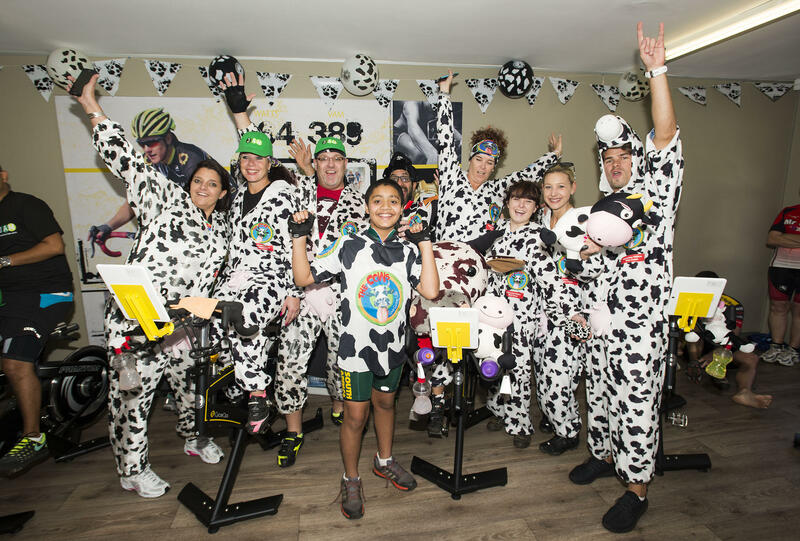 The first South African version of the 100 Miles Of Nowhere was held in 2011 when a group of ten of The Cows completed the challenge as part of their year-round fundraising for CHOC Childhood Cancer Foundation.